My driving many miles has not stopped yet. 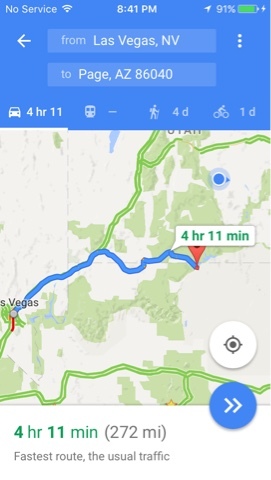 Today, Tuesday, 3/15/16 (Day 72) was a 272 mile drive from Las Vegas to Page, AZ and tour the area of Page. 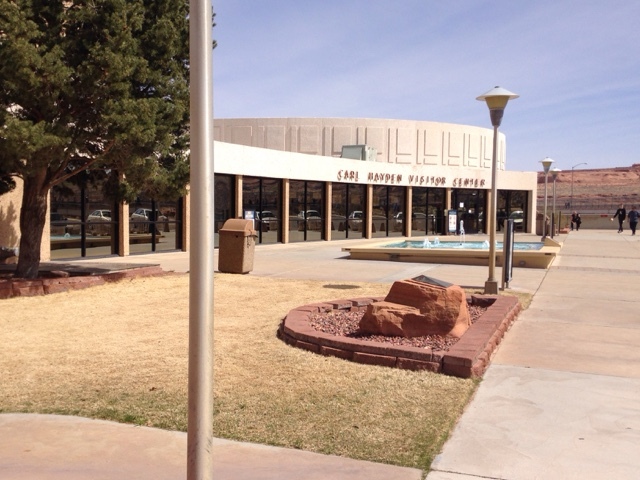 Above; Carl Hayden Visitors Center at Glen Canyon. 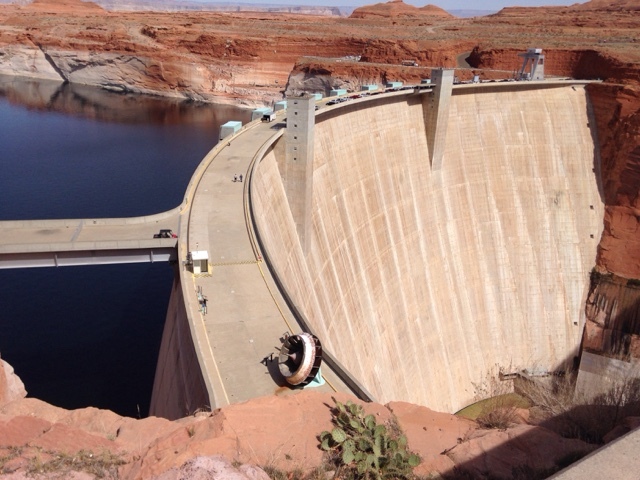 Glen Canyon Dam holds back the Colorado River forming Lake Powell. 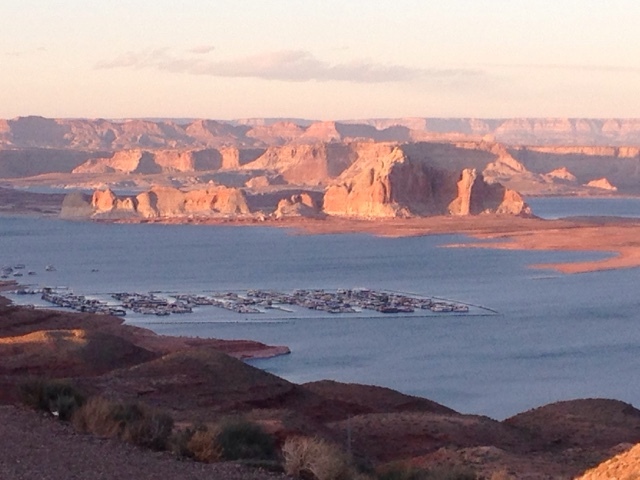 There are boat tours of Lake Powell that will be on my list the next time I come here. 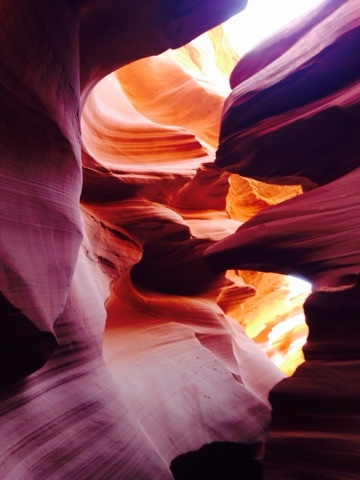 Lower Antelope Canyon in Page is my favorite attraction and the Navajo guides are great with customers too, taking the time to help with your photography. The guide for the tour played flute. He liked playing the tune from the movie The Good The Bad And The Ugly. 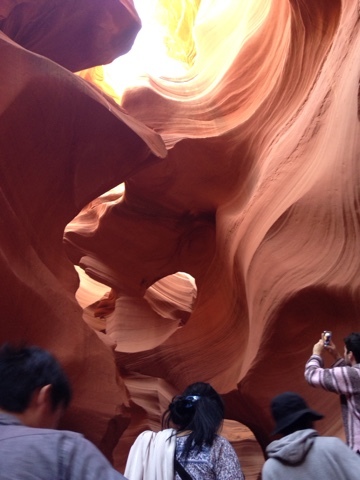 I recommend reservations at Lower Antelope Canyon so when you arrive you don't have to wait for an opening. You want a midday tour 11:30 to 2:00 if possible as you want the sunlight shining down through the slot canyon to give you some wonderful colors. 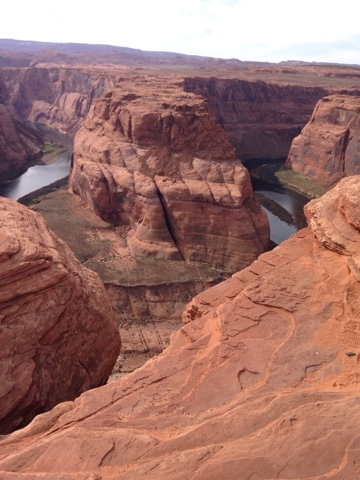 Below the dam the Colorado River makes this picturesque horseshoe turn that offers a view that you will never forget. It is a bit of a hike up over a ridge and down to the rim. There are no railings so know what you are doing. You will not be alone this is a famous spot for visitors. There is a boat tour that will take you down river from the dam to tour the river around the arch. Yes, this too will be on a future visit list. At sunset head to Waheap Overlook just north of the dam for some wonderful views and excellent sunset photos. Today was an early morning start but it was worth it to have a full day. The drive went through some new places to me as I have not traveled these UT back roads before. Note that your cell phone at the dam may pick up UT time (mountain time) but Page and the Navajo attractions are on AZ time.